A corporation is a legal entity formed to do business. To “incorporate” is the legal process of forming a corporation. Incorporating, or the act of doing business as a corporation, provides certain legal, financial and personal benefits to its owners. A trade name, a.k.a. business name, is a registered name under which a business operates. There are certain rights, privileges and protections associated with each form of business and registered trade names. A resident of Monmouth County can register a trade name or form a corporation through the County Clerk’s office in Monmouth County. Like many other Colonial laws, regulations governing the forming of a corporation in New Jersey were based on the old English laws and procedures. Few significant changes were made to these laws until the mid-1800s. Since Colonial times, corporation charters have been granted by the General Assembly through acts of legislation. In order to obtain a charter, according to pre-1900 laws, applications to the legislature had to include the purpose of the corporation; a list of the stockholders and officers or directors; and the location of the organization’s principal offices. Today, requirements for obtaining a corporation charter include extensive, detailed information regarding the corporation’s purpose, stockholders, capital, and officers and directors. Beginning in 1776, and continuing after the adoption of a new State Constitution, the legislature went through the process of revamping many of the old English statutes. But regulations and requirements regarding corporations changed very little, with the exception of acts of the Legislature regulating religious societies (approved 1786), fire companies (approved 1826), and the formation of borough governments (approved 1798). Religious societies and borough government regulations were different in that the incorporation certificate had to be filed and recorded in the County Clerk’s office. The name of the corporation and the date filed were entered in the Book of Corporations, which served as an index to each corporation recorded in the county. The index also provided a deed book and page number, since incorporation charters also were recorded in deed books as a deed of real estate. The February 14, 1846, “Act Concerning Corporations” did not significantly change established procedures. The granting of corporation charters remained within the jurisdiction of the legislature but, for the first time, the certificates issued had to be filed with the Secretary of State. Following the 1846 Act, the legislature established separate guidelines for Mutual Loan and Building Associations (approved 1849), banks (approved 1850), cemeteries (approved 1851), and Benevolent and Charitable Societies (approved 1853). Corporations in these categories also were required to file the certificates of incorporation with the County Clerk and the Secretary of State. In 1875, “An Act Concerning Corporations, Revised Statutes of 1874, approved April 7, 1875,” required all corporations to file the certificate of incorporation in the County Clerk’s office in the county where the principal offices of the corporation were located. The certificates included the amount of capital stock, the names and residences of stockholders, and shares held by each. The law also stated that the County Clerk was to record the name of the corporation in the Corporation book and the corporation’s charter in the appropriate deed book. The incorporation certificate also had to be filed with the Secretary of State. Another Act, which was approved in 1889 as a “Supplement to an act entitled ‘An Act Concerning Corporations, approved April 7, 1875,'” stated that corporations were required to submit a list of officers, each year, to the Secretary of State. Annually, the Secretary was to compile and publish a pamphlet with a list of corporations operating within the State during the previous year. Regulations, guidelines, and constant monitoring were needed to meet the complex legal problems involving corporations. Over the years, laws were enacted regarding name changes, mergers, receiverships, and dissolutions. 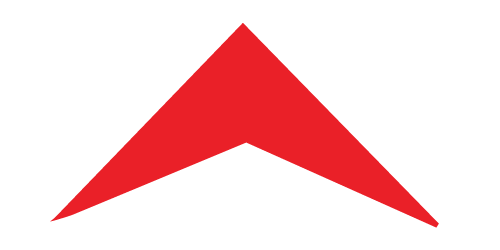 By 1906, another category of business emerged. Although not as complex as the corporation, any business using the designation of “and Co.” or “& Co.” or any individual or group of individuals forming a partnership or limited partnership, became regulated by the legislature. “An Act to Regulate the Use of Business Names, approved May 17, 1906,” required such businesses to file a statement in the Office of the County Clerk in the County where the business transacted or conducted business. The statement had to include the full name of the business, the nature of the business, and the full names and residences of all partners. The County Clerk was required to keep an alphabetical index of each business recorded. The recording of business names continues today in the Recording Section of the County Clerk’s office. Both types of documents are intermingled in loose papers. Certificates of Incorporation are for businesses, non-profit organizations, townships, religious institutions, clubs, and more. Documents concerning name changes, mergers, receiverships, changes of location, and other matters may also be found in these files. The Access database, “Corporations & Trade Names, 1833-1980,” contains 3,830 records of loose papers of certificates of incorporation and trade name registrations for commercial businesses, townships and non-profit organization. 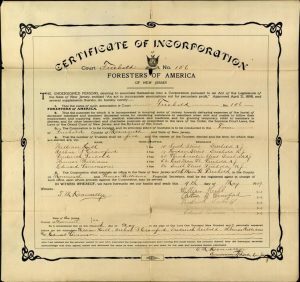 Another recently started Access database, “Corporations 1850-1995,” contains an index book and page for Certificates of Incorporation recorded in the Corporation Books. This project is ongoing. The index contains record date, name of corporation, and the certificate book and page. Microfilmed Grantee indexes and Grantor indexes, 1667-1929, are available in the reading room. Corporation Grantee indexes for 1667-1891, 1907-1920 and 1920-1929 are also available in the reading room. The 1892-1906 index volume is in extremely poor condition almost entirely unreadable. The other three volumes are in good condition. Archives also holds Corporation Mortgagor Index book, 1786-1920. Trade Names, also called business names, are certificates. The indexes consist of business information and owner information, date registered and certificate number. 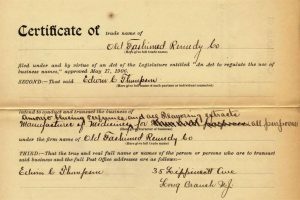 Trade names were not microfilmed and not entered into an Access database; however, trade name certificates from 1976-present have been scanned and are available online at OPRS. The Archives holds three volumes (Record Series 800.1) entitled “Trade Names,” for the years 1906-1932, 1906-1947 (Book 1), and 1947-1954 (Book 2). Book 1 probably includes all the information in the 1906-1932 volume but this assumption has not been verified. The books include the following information: name of business, character of business, address of business, names and addresses of owners, and date of filing. Occasionally, there are notes included concerning a change of agent, location, or name, and date of dissolution. Trade Name index, 1906-1996 was printed on pinfeed printer and stored in three cartons (3-1-2), filed alphabetically; printed March 5, 1996, by Monmouth County Central Data Processing. The printout contains trade name and type of business, address, phone number, document number, date of registration, and date of dissolution. Trade Name printouts, 1923-1996, contain information on 67,000 trade name registrations on pinfeed computer printouts, filed by year in cartons (1-1-4-12). 1996-2015 loose papers in 18 cartons, filed by certificate number (19-4-2). Copies of some Trade Name Registrations can be found mixed in Corporations & Business Trade names, 1833-1980 loose papers, stored alphabetically in 28 manuscript boxes, (20-3-4-) and in an Access database. This record series is open to researchers. The records are available for use on microfilm. Computer indexes provide the following types of information: name of business, non-profit organization, or town; type of business or organization; name of owner or other agent; year; microfilm number; and type of transaction. The index should not be used as a substitute for the documents, as the transaction code may not fully indicate the content of the documents. For example, a listing in the index for business name should not be taken to mean that the business was not in existence at an earlier date, as it could mean that the name or ownership had changed. For example, Matilda Pach registered a photography business in 1906 under the name, “G.W. Pach.” Her late husband, Gustavus W. Pach (1848-1904), began his photography business in New Jersey in the 1860s. Corporations/Businesses 1667-1891, 1920-1929, A-Z, six rolls. Loose documents are filed alphabetically by name of the business. Books begin with Book A-Z, 27-122. Books starting with No. 123 to current are in Market Yard. The loose documents are filed alphabetically in folders by name of corporation or town. Most of the folders contain two or three documents pertaining to the organization. However, for town incorporations, there may be fifty or more documents relating not only to the incorporation itself, but to public notices, elections, and other matters related to the incorporation. Not all Monmouth County town incorporation papers are in house. The Certificates of Incorporation, Trade Name Registrations and Incorporation Books were transferred to the Archives by County Clerk Jane G. Clayton before July 1993. The Hotel Trade Names, 1931-1970, volume was transferred to Archives by County Clerk M. Claire French under Accession #2014-14 on March 13, 2014. Certificates of Incorporation loose papers were microfilmed in July 1993. An Access database of loose papers containing 3,831 records was created July 30, 1997. A finding aid was created April 1994; revised March 1997; revised November 1997; revised February 1998; and updated April 2016 by George Joynson. Incorporation Books A-Z, 27-122, and the book index, were microfilmed on January 31, 2002. An Access database, Corporation Record Index 1850-1995, of 3,000 records, currently ongoing, was created December 16, 2015. This index contains record date, name of corporation, Book and Page number. The New Jersey Division of Revenue and Enterprise Business Records Service provides online searchable information on New Jersey Corporations and Trade Names.